The product codes for the gloves are: B7653 (Large), B7654 (Extra Large). 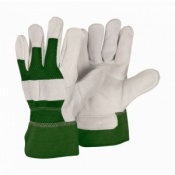 The Premium Hide Rigger Gardening Gloves protect hands from dirt while working with soil and plants. With a quality leather construction, they are ideal for tougher gardening tasks that involve handling coarse branches, stems, and plants. With extra palm and forefinger protection, the gloves are ideal for handling gardening tools and working with tough plants. The gloves allow hands to handle tough gardening jobs while the cotton backs keep hands comfortable during work. 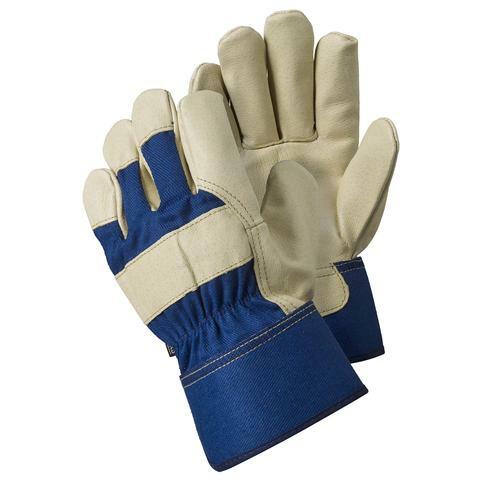 The Briers Premium Hide Rigger Gardening Gloves are available in a choice of sizes to ensure the most comfortable fit. Please consult the table below for details.